It was brought to our attention that there was an error in the email when viewing it on a mobile device. Race Start is at 7:15 AM. Corrected version appears below. Greetings! 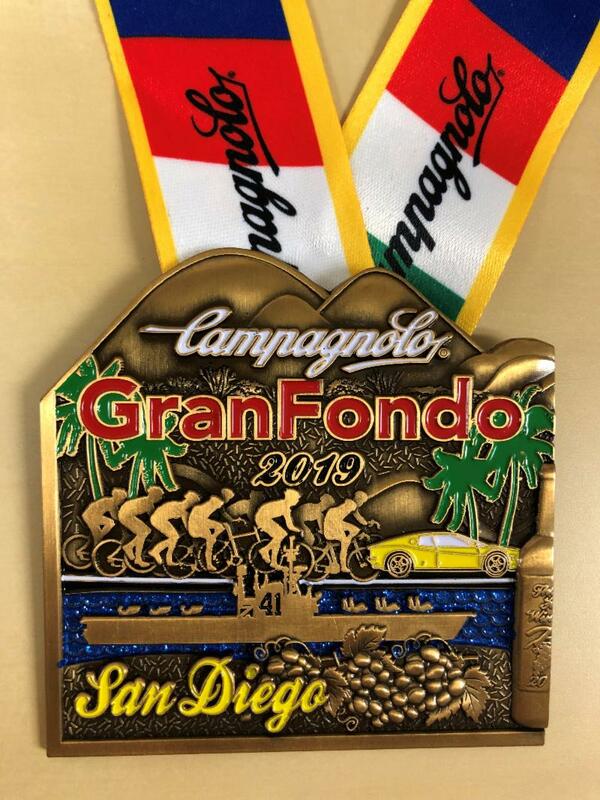 you are registered for the 2019 Campagnolo GranFondo San Diego on Sunday, April 7th. An Event Packet containing your rider number, timing chip, and other essentials must be picked up before the ride begins. 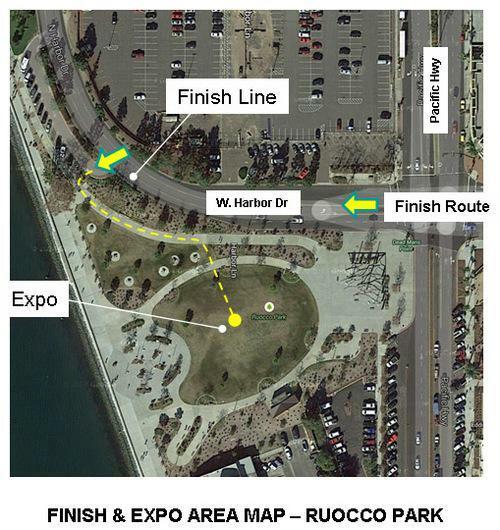 Packet Pickup is offered Saturday all day at the Expo and as backup on Sunday morning at the Starting Line ONLY. All merchandise will be available at the Saturday Packet Pickup/Expo! What do I need to pickup my packet? A PHOTO ID and TWO signed waivers. You can print and sign those ahead of time and bring them with you or we will have them onsite. What if I am picking up for someone else? Where do I pick up my merchandise? At the Expo during the packet pickup on Saturday OR Sunday at the merchandise pick up tent ONLY after the ride. Please come to the EXPO as early as possible. Pickup can get busy. 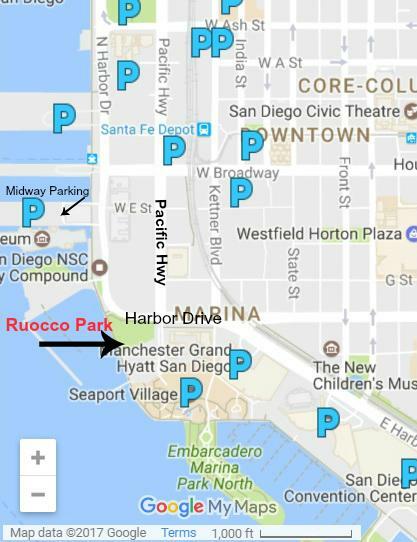 Closest parking is at Seaport Village or at the USS Midway on Harbor Drive. This EXPO should not be missed, plan to attend! COME VERY VERY EARLY & WAIT YOUR TURN IN LINE - Please bring your printed QR code with you. This will be sent to you in a separate email. It will also speed up the process if you bring your two signed waivers and photo ID. Invite your friends - Use code FRIENDS20 for 20% off. 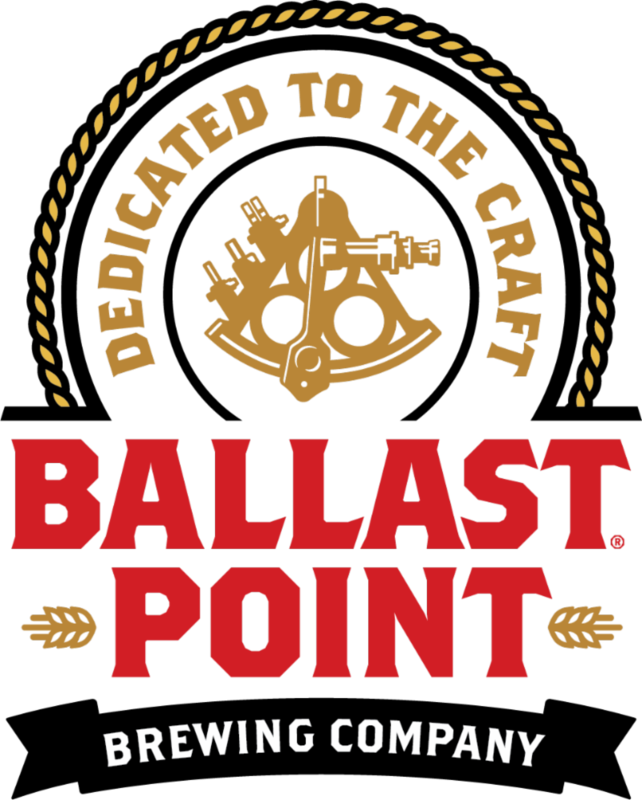 Our friends at Ballast Point are offering 10% off food and drink when you show your bib at their Little Italy location, 2215 India St. on Saturday, April 6th and Sunday, April 7th. Click here to view menu. Bag drop will be available at the start. It is best to bring a backpack or bag with your items inside with your name and Bib Number clearly marked. Retrieve your bags next to the beer garden. We suggest you bring shoes and a light jacket for after the ride so you can enjoy lunch, the Ballast Point Beer Garden and the CAF Raffle. Purchase raffle tickets here or at the event. New for 2019, we are proud to welcome Three Hills Winery presenting Hand Crafted Wines from the Ramona Valley. They will be offering wine tasting and glasses for purchase in the beer garden. We will look after your bike at the Valet area next to the finish line. Remember to bring $ for Challenged Athletes Foundation Donation in the Beer Garden. Please do not leave valuables, we are not responsible for lost or stolen items. No merchandise will be available at the Start Line. All purchases must be picked up at the Expo ONLY on Saturday or Sunday in the MERCHANDISE PICK UP TENT AFTER the Ride. Opens at 6:00 AM. Ride starts at 7:15 AM. All distances start at the same time. (Please note: the Fun Fondo lines up behind the Piccolo - there is no sign). 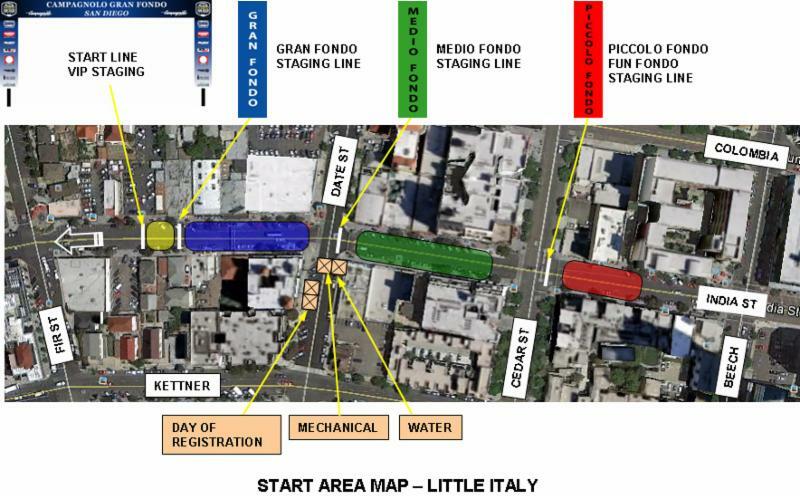 On India Street at the intersection of Fir Street, with VIP and Gran Fondo at the front, Medio Fondo in the middle, and Piccolo / Fun Fondo at the back. Your wristband color corresponds to the color of your grid. Anyone that wants to start a bit slower or in less of a crowd is welcome to start in the rear! The deadline to be in your Rider Grid is 6:30 AM PT. If you arrive late, you will be staged at the back, behind the Piccolo Fondo grid. 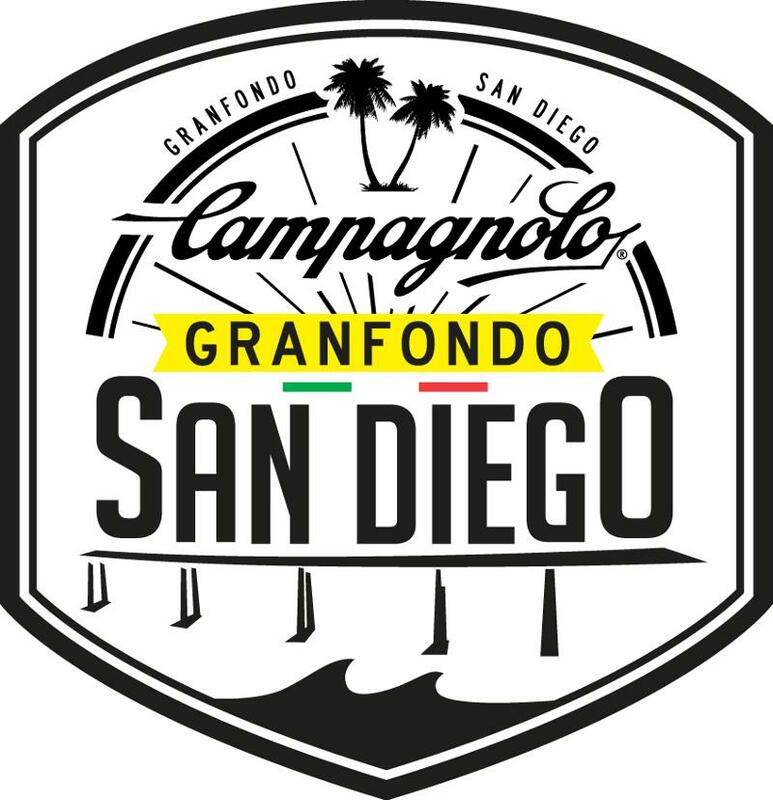 Safety at this year's Campagnolo GranFondo San Diego is our #1 Priority! * Rules of the road - all riders must obey police officers, traffic laws, traffic lights, and stop signs. PLEASE ride single file. * Violators could be ticketed by local law enforcement and/or disqualified from the event. You are responsible for knowing California traffic laws. All three routes cross railroad tracks, are on open roads with traffic and have road hazards. Please obey all signs, warnings, and train crossing gates. * Look both ways before crossing railways, and ensure that your bicycle wheels remain perpendicular to the tracks. Helmets are required at this event and must be worn at all times while on the bike. They must be in good working order and meet current ANSI helmet codes. Wording from County Permit, Inform your participants that "the course is an "OPEN ROAD" with everyday vehicle traffic to be aware of around them; and that participants will comply with all the "RULES OF THE ROAD" and regulations as defined in the California Vehicle Code... instruct all participants that at all times they must ride single file and stay to the right hand side of the roadway, not impede regular traffic and be courteous to drivers." 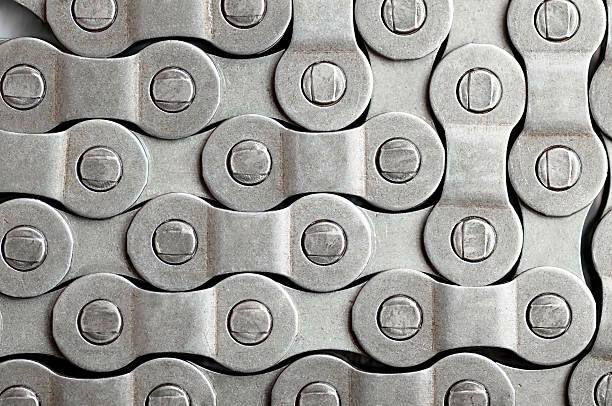 Our Title Sponsor, Campagnolo , will provide skilled mechanics at the Finish Line Expo on Saturday, and during the ride. The Mechanic Support vehicle will be marked with a yellow GranFondo sticker on the front and back. ﻿If you have a mechanical problem, safely get off the roadway and flag down Mechanic Support, or call Event Headquarters. We will attend to your needs as quickly as possible. SAG drivers are primarily on the course for riders who need a ride to the finish due to mechanical and/or health issues. If extreme conditions exist , such as cold, heat, wind, or rain, please be aware that SAG drivers might be extremely busy, and event organizers recommend that riders may need to call friends or family for assistance if wait times are too long. PUT THIS NUMBER IN YOUR PHONE NOW! 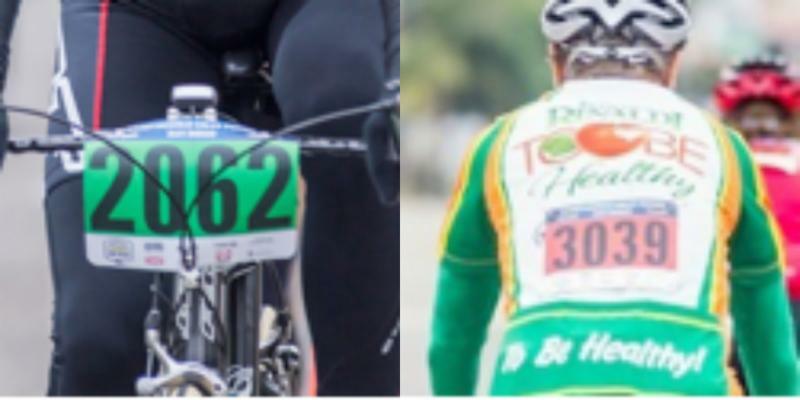 Each rider must display his or her bike number as shown in the pictures below. This ensures that our timing equipment will accurately record each rider. Hang the number using the wire ties provided. Do not bend, twist, or wrap the number around head tube or place it anywhere else on the bicycle. You love Campagnolo, we love you back! All Riders with Campagnolo equipped bicycles or if you were a rider in the 1st year of the Granfondo - We have a special place upfront - right behind the VIP Corral at the start of the Granfondo! 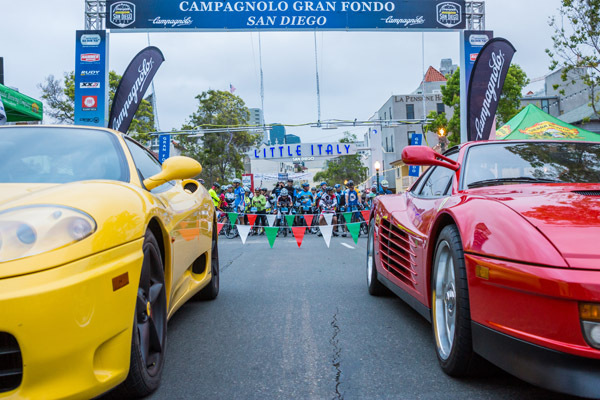 You will be up front with the yellow Ferrari, our CAF Athletes, and special Guest VIPs. PLEASE come to the Campagnolo tent at the Expo on Saturday and they will give you a Campy Club Wrist Band to get you in the Club Corral. Please arrive to the VIP Club Corral by 6:45 AM PT and a Campagnolo representative will check your bike and let you in. Need volunteer hours? Volunteer Here!